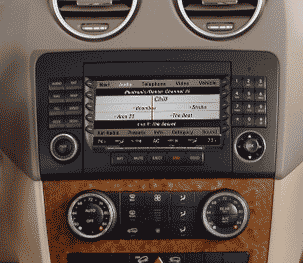 Mid City Engineering offers OEM solutions to retrofit satellite radio in most Mercedes Benz vehicles. Our Satellite Radio kit comes with everything you need to retrofit NTG2 COMAND head-units with Sirius Satellite Radio. The package includes a tuner, antenna, wiring harness, and programmer (when applicable) for your specific vehicle. Enjoy the factory option you missed out on, including a genuine Mercedes-Benz tuner. Subscription is required for full operation, but installation can be tested with preview channels.